Ever since we planned to take the wall down between our kitchen and our living room, I knew that I wanted an island in the kitchen. 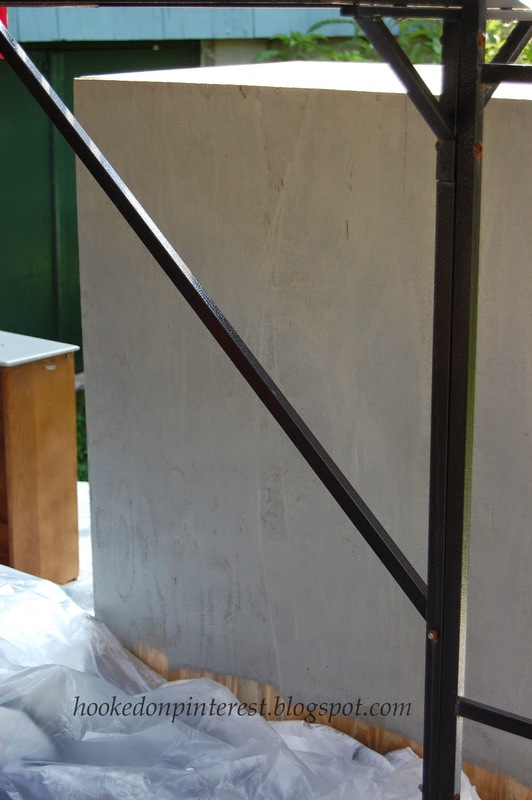 Check out my taking down the wall post for more on that project. At first I thought that I would just extend our existing counter top to create the island. 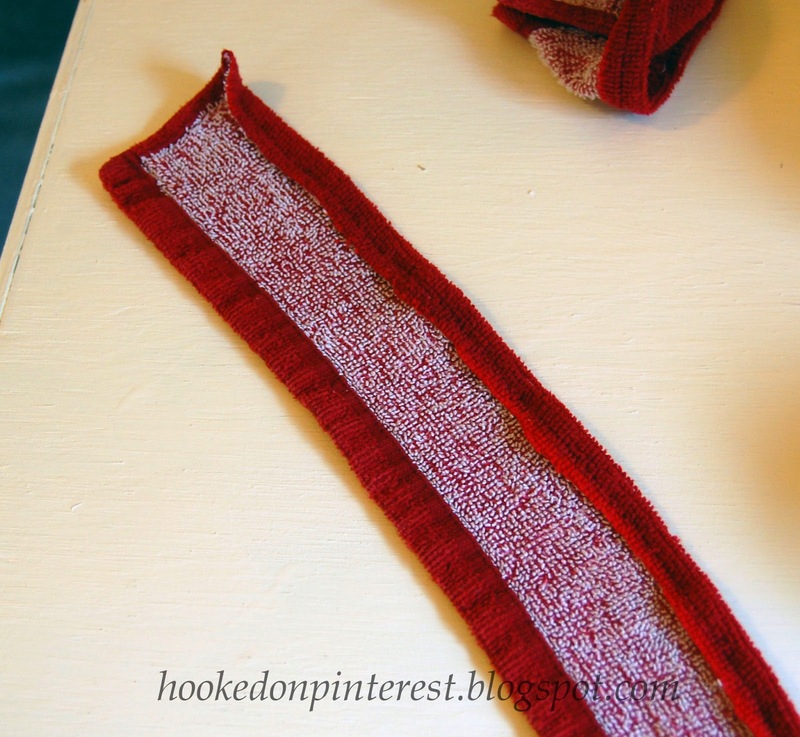 But, I quickly realized that this would be a costly and time consuming. 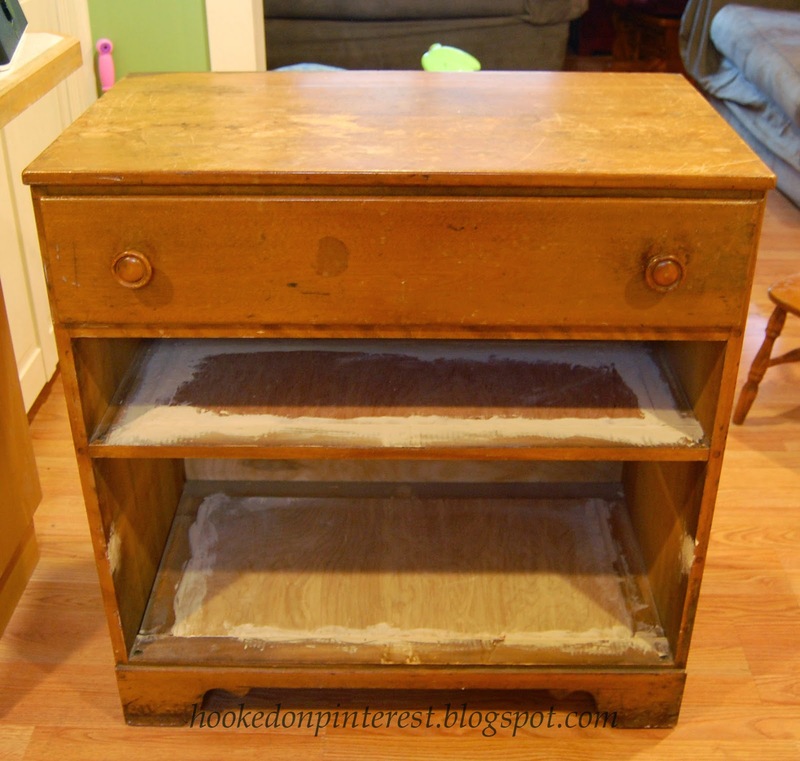 So, on to plan b, create an island from an old dresser. I decided to use an old dresser that we originally got from my husbands parents back when we moved into our first apartment. 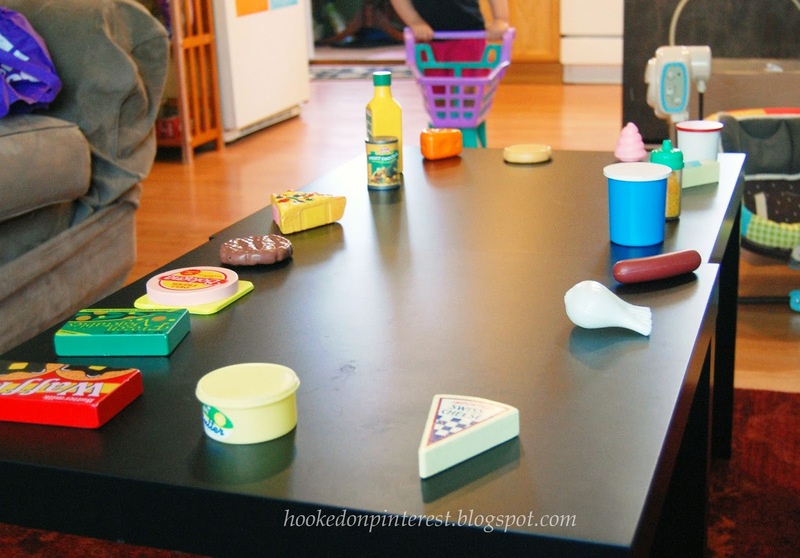 This is a child's dresser, our kitchen is not so big so it works well in our space. I always forget to take pictures at the very beginning of my projects. So, if you can imagine this dresser originally had 4 drawers. We left the top one in, took the bottom three out and created two shelves. 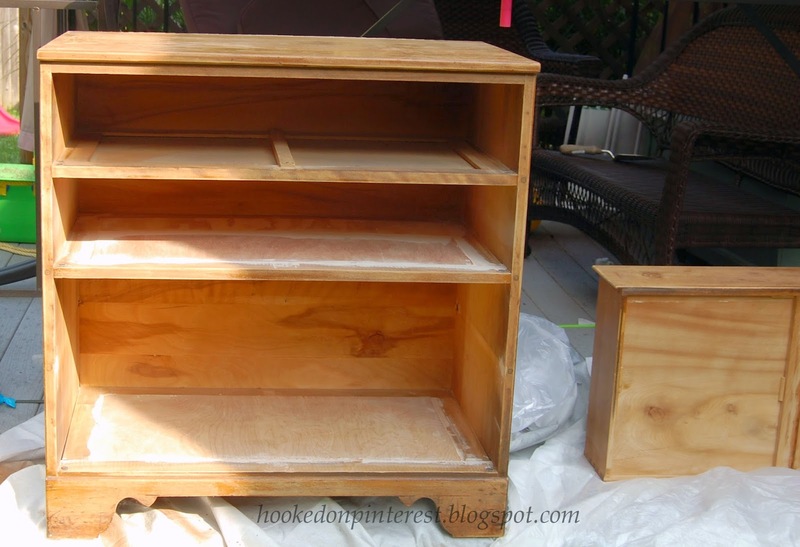 The shelves will ultimately be covered with doors that my Dad is making for me. The next step was to sand the piece to get it ready for painting. 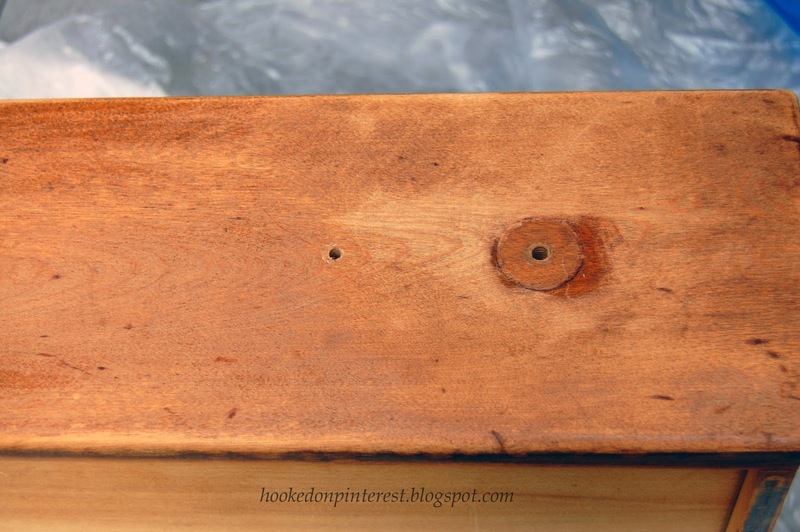 We also drilled the second holes for the handles on the top drawer. 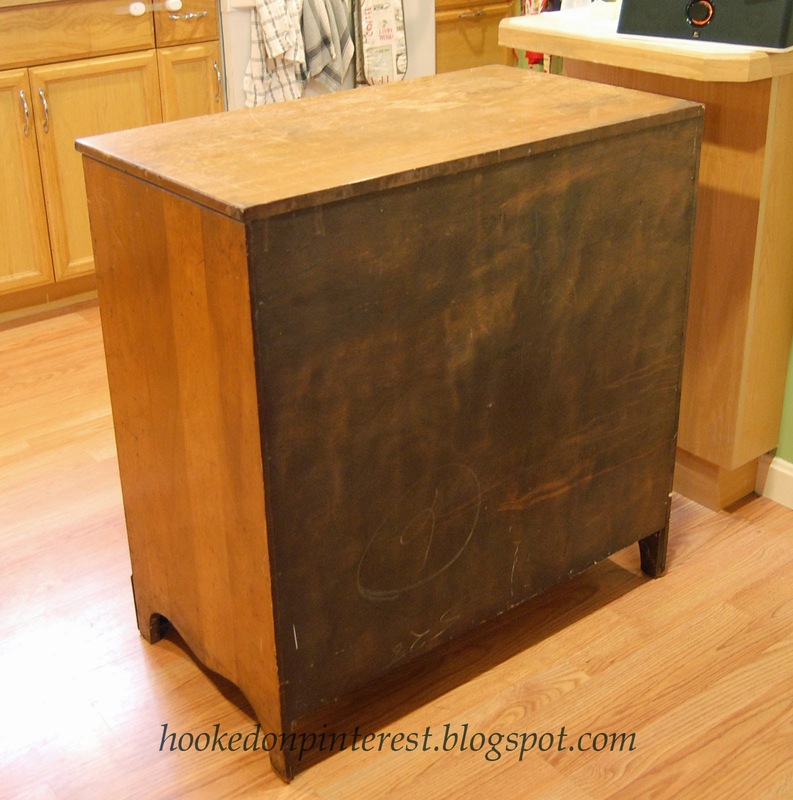 We added a sanded plywood backing to the back for the dresser to give it more durability. 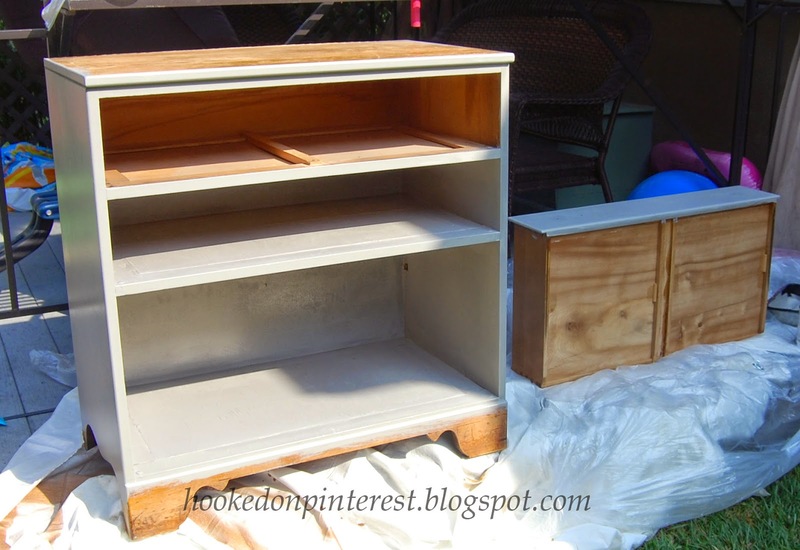 After I painted it, the plywood did not look that great. We decided to take off the plywood and replace it with 1/2" MDF from Home Depot to get a really smooth surface that would more closely match the dressers wood. 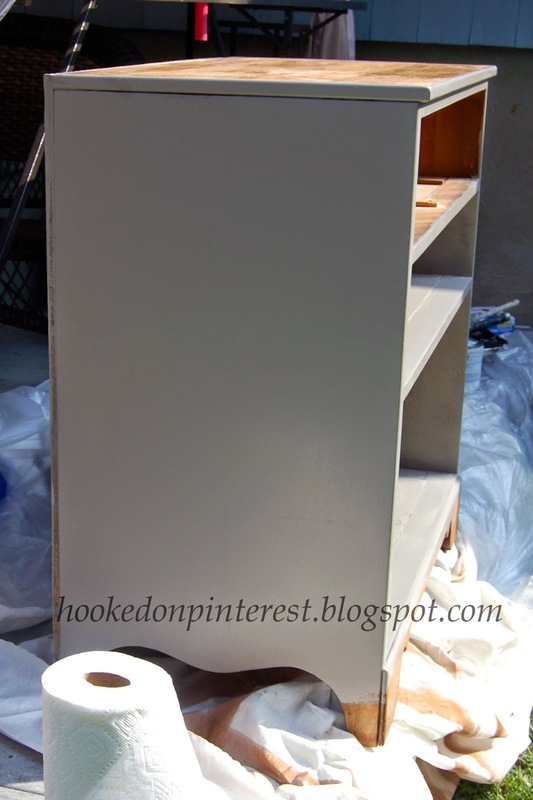 I finished painting the base of the dresser, this took about 2 coats of semi-gloss paint. 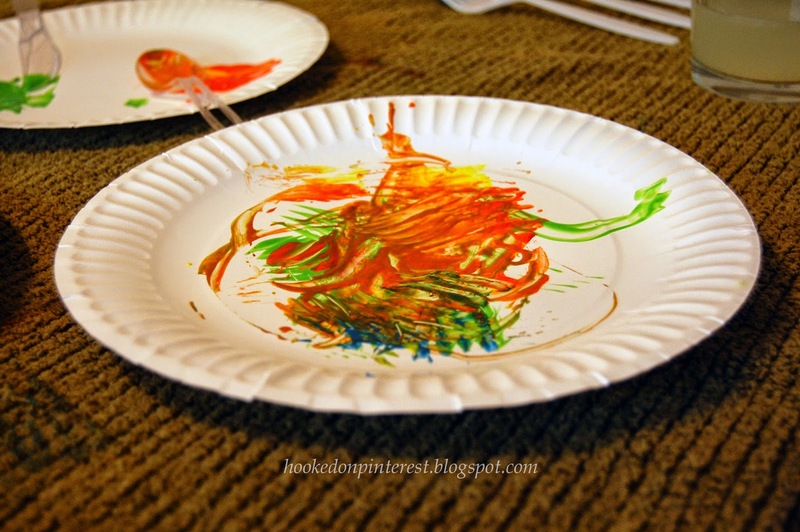 Here is a quick and easy art activity for kids that I have seen bouncing around Pinterest recently. 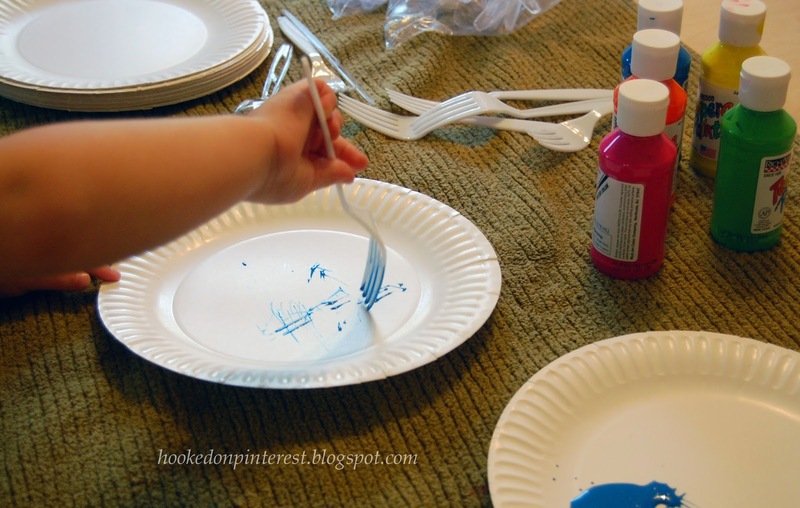 All you need is plastic forks, spoons, etc..., paper or paper plates and kid friendly paint. 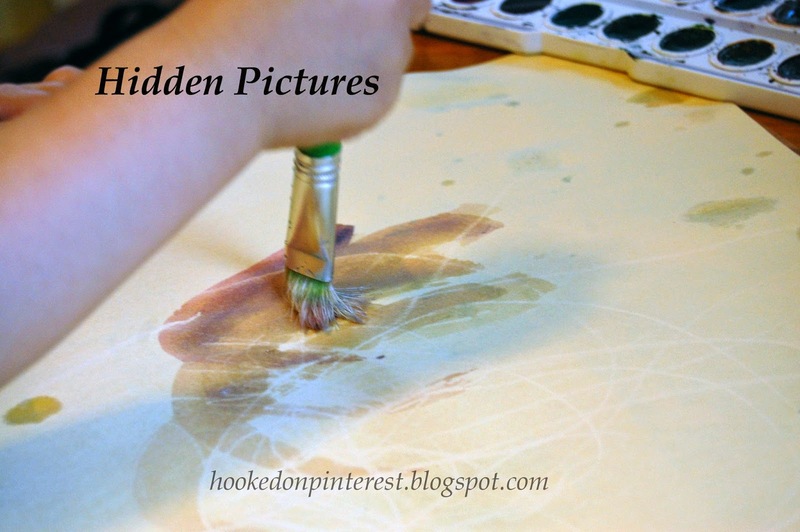 The art teacher in me really liked this idea because it gives kids the ability to create art without it having to look like anything and therefore they are freer and more creative. 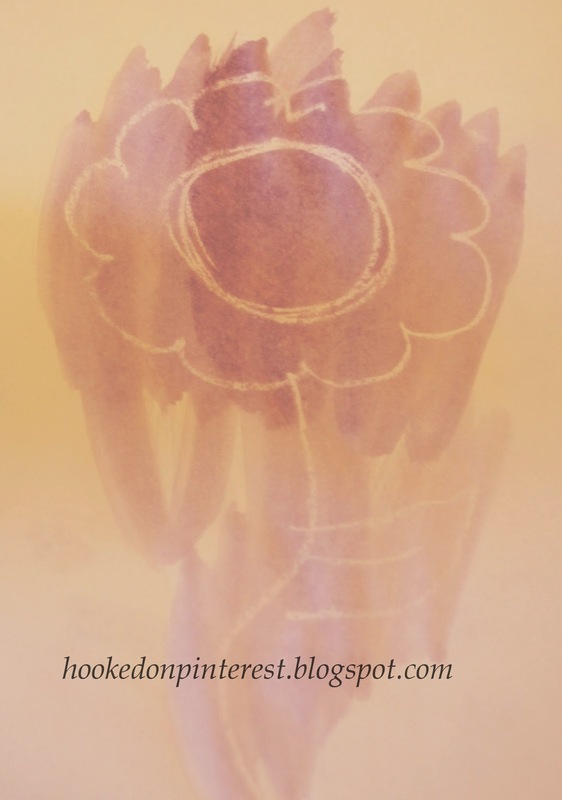 I did this with my 3 year old, I think she might have been a little young for this because she got bored a little too fast, but she still had fun while creating this art. 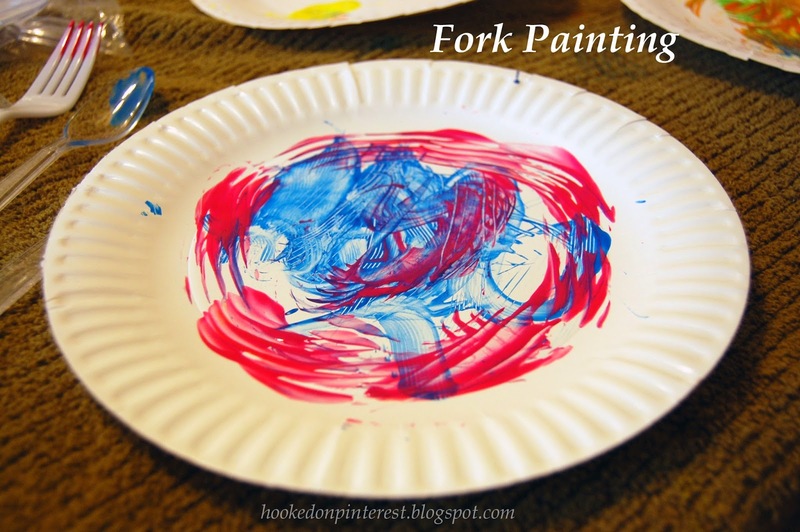 If you want to try this with the little ones I think its worth a shot, but I think 5 to 7 year olds would really have a blast creating art with plastic utensils. I really love when things in my house are organized, with a newborn and a toddler this rarely happens. So, any help I can get from organizational tools is greatly appreciated. I have been seeing posts for something called a rag bag for the kitchen all over Pinterest, I thought I would come up with a design of my own. 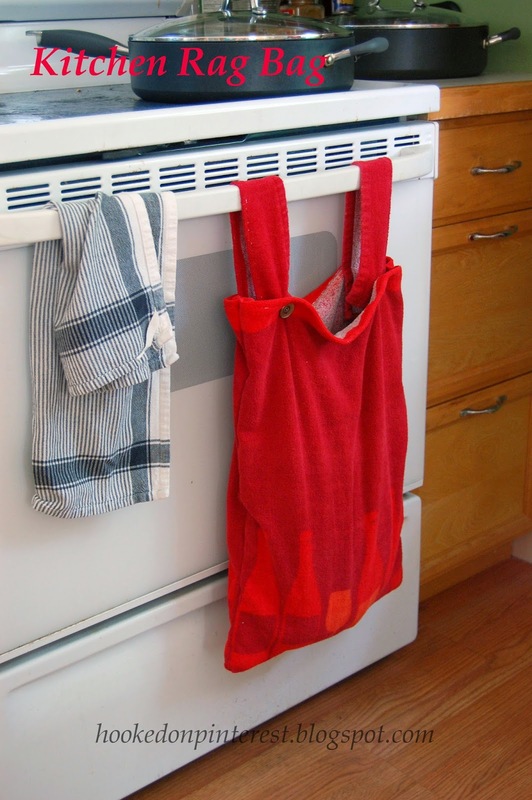 Usually, I have 4 or 5 dish towels hanging from my oven handle at any given time, using the rag bag I would only need to have one out at a time and the others would be nicely concealed. 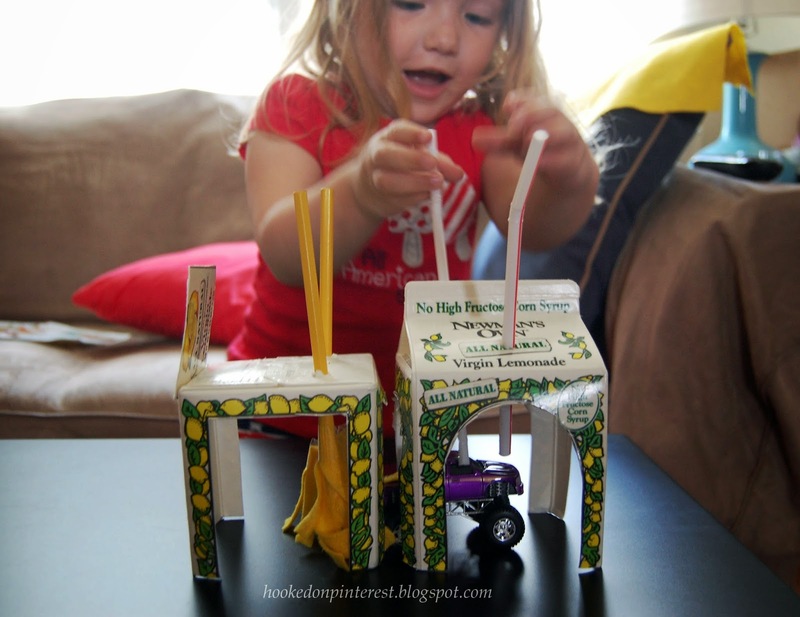 For this project all the items I used I already had in my house, so it did not cost me anything to create. 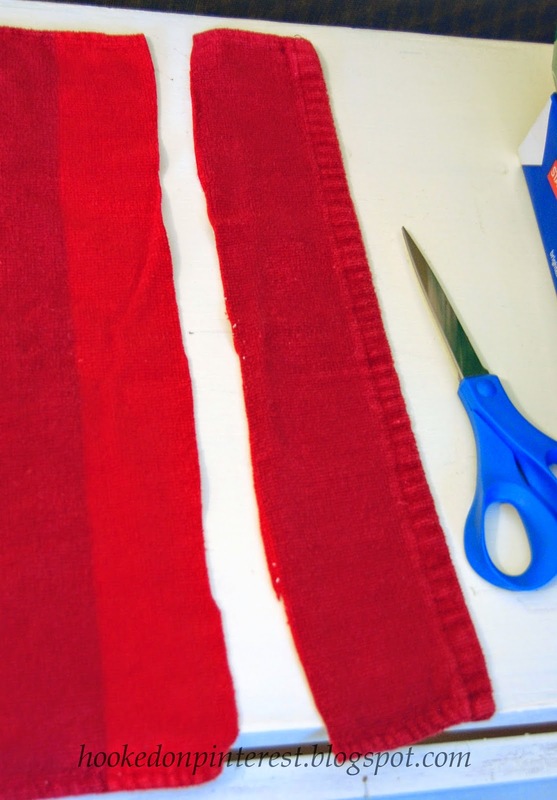 I picked out 2 dish towels that I liked the design of and cut off a strip at the top of each for the straps. 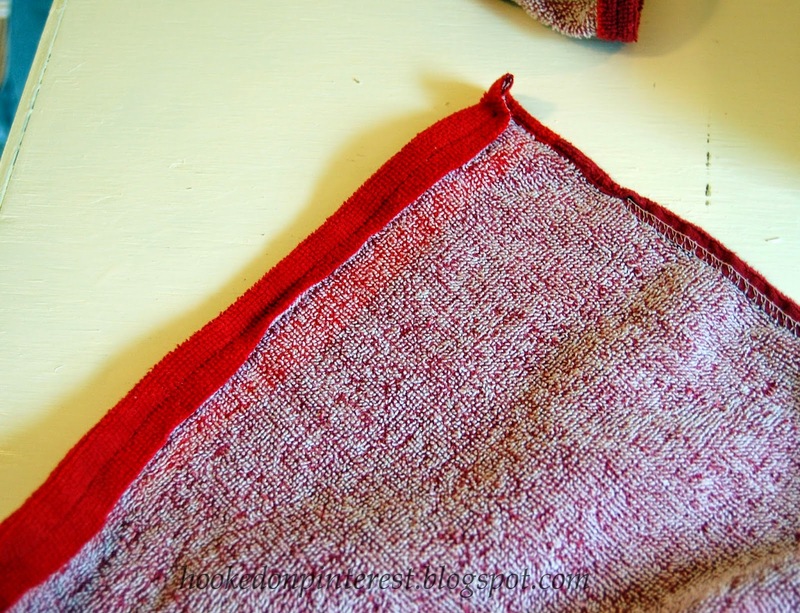 Next I sewed a hem on both the strap and the main part of the bag to create a finished edge. 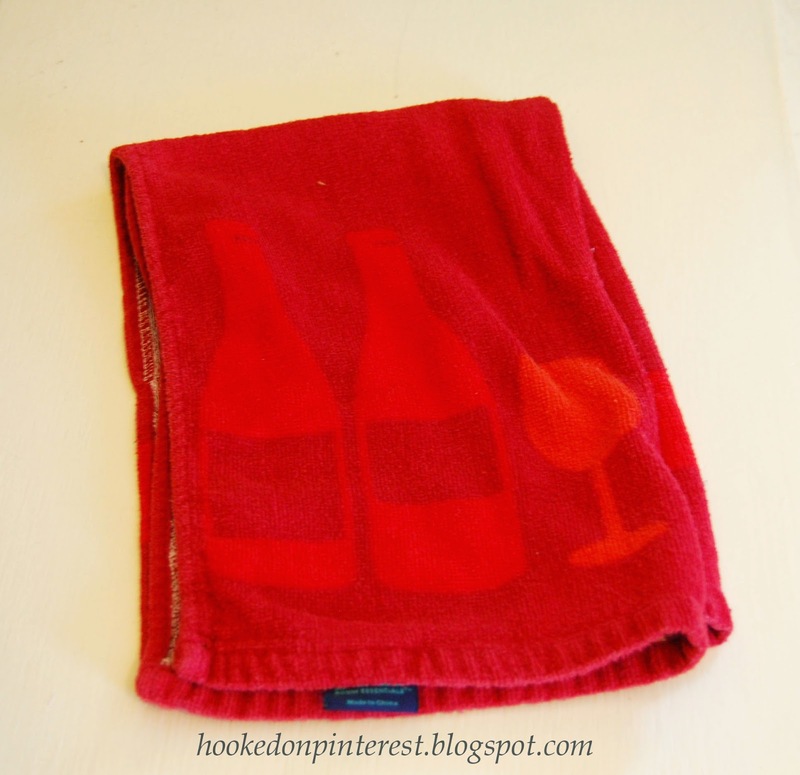 Since I used a pre-made dish towel there is less finish work to do. 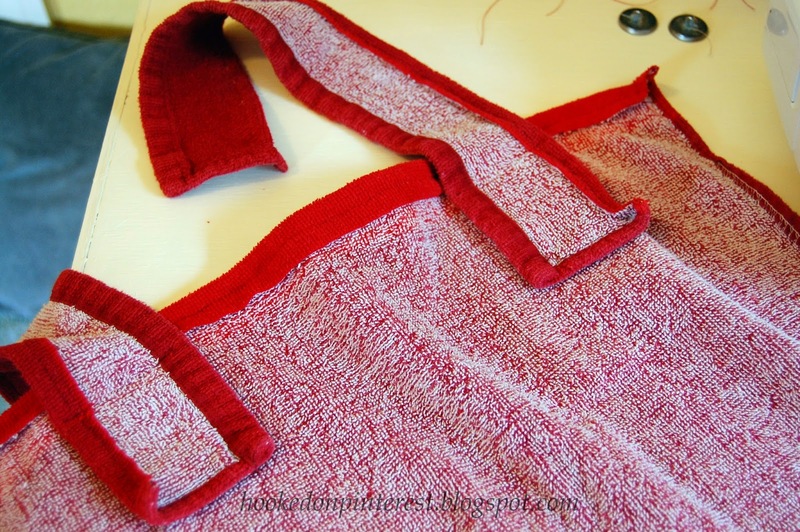 Then I sewed the straps on the inside of one of the bag panels. 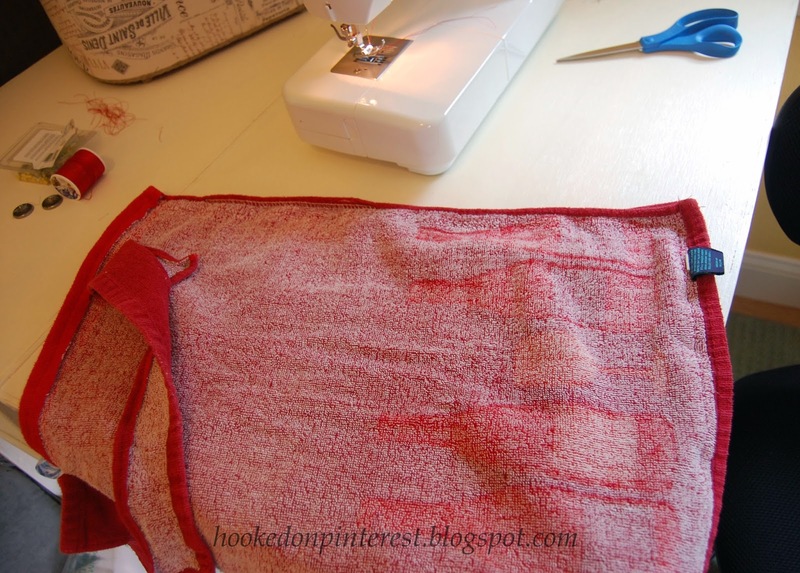 The next step is to place the two bag panels finished side together, inside facing out, and sewed the seams on three sides to create the bag. Finally, I sewed on the buttons to the straps and made a small slit on the front of the bag for the buttons to go through. Sewing is not my area of expertise but this turned out pretty well and took about an hour to create. I think if I were to do anything differently, I would have made it a little bit shorter. Here is a fun game that my Mom came up with while I was on bed rest for my 3 year old to play. This game is loosely based on the 90s TV show Supermarket Sweep. It is a great game for days when your stuck inside with the kids, heat waves, rainy days. 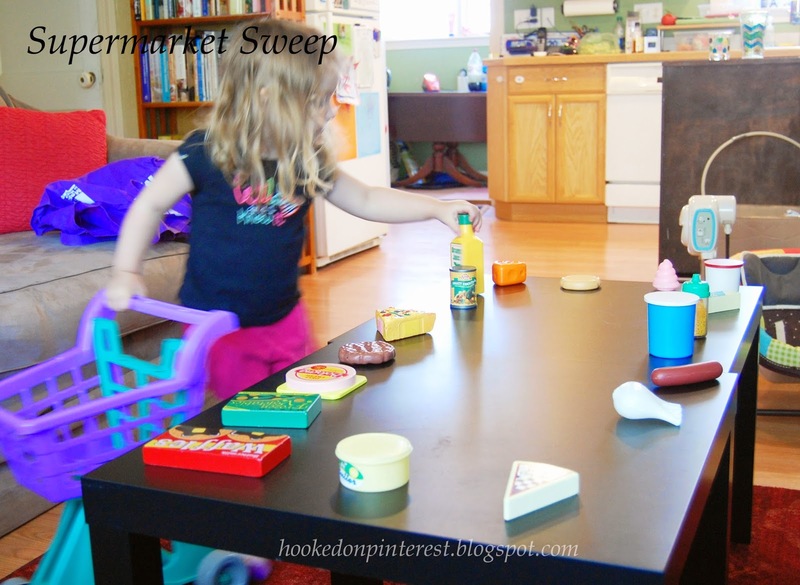 To play this you need a coffee table or other low table, play food, kids shopping cart or basket. Set up food on table, spread out and mixed up. Have the child wait with the shopping cart a few feet away. You can choose to give them a certain amount of time or just tell them to do it as fast as they can. The latter works well with the younger group. You say "Go" and your child races around gathering up the food, for younger kids sometimes you might have to remind them of what they need to get. When they have collected all the items they race back to starting place. If you are timing this is when you would stop the timer. If you have multiple kids they can take turns and see who can do this the fastest. My 3 year old has a blast playing this she will do it for hours. 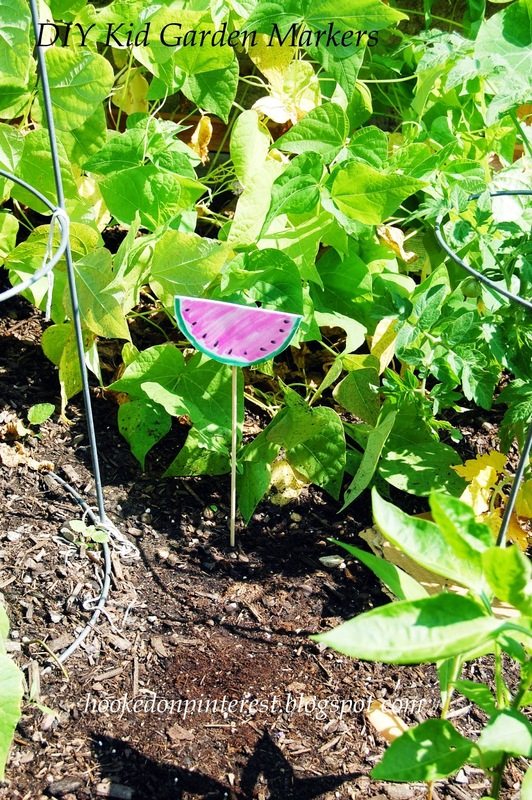 I have seen many fun looking vegetable garden markers on Pinterest, so I thought I would make my own with my daughters help. I used some thin foam, markers, duct tape and kebab sticks. I cut out the shapes of the veggies from the foam, I used white foam for the veggies that had multiple colors - watermelon. 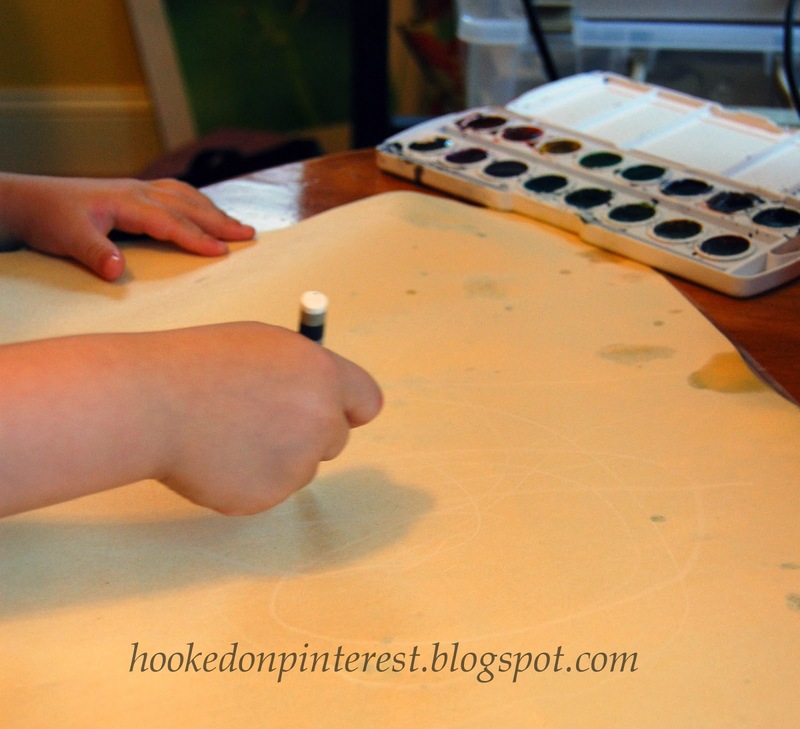 Make sure you use non-washable markers, when coloring the white foam, so that when it rains the colors don't wash away. Then tape the kebab stick to the foam and stick into the ground. 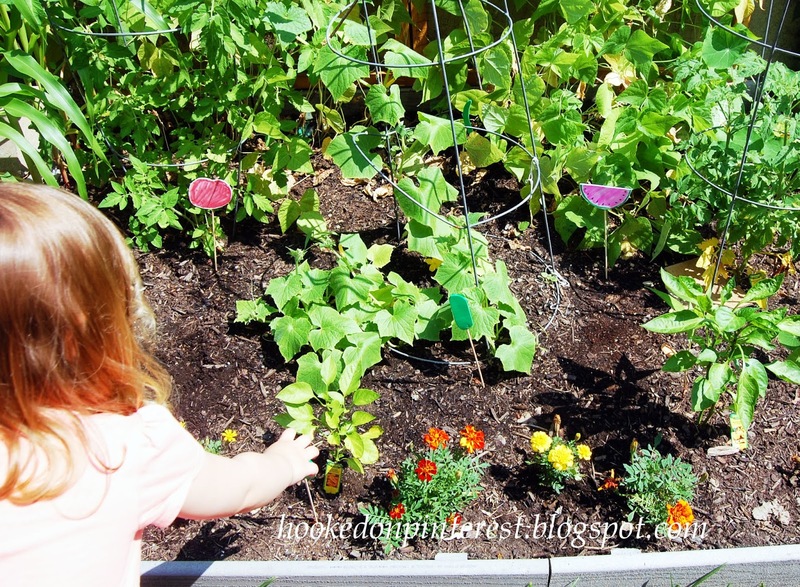 My daughter had alot of fun creating these and putting in them the garden. 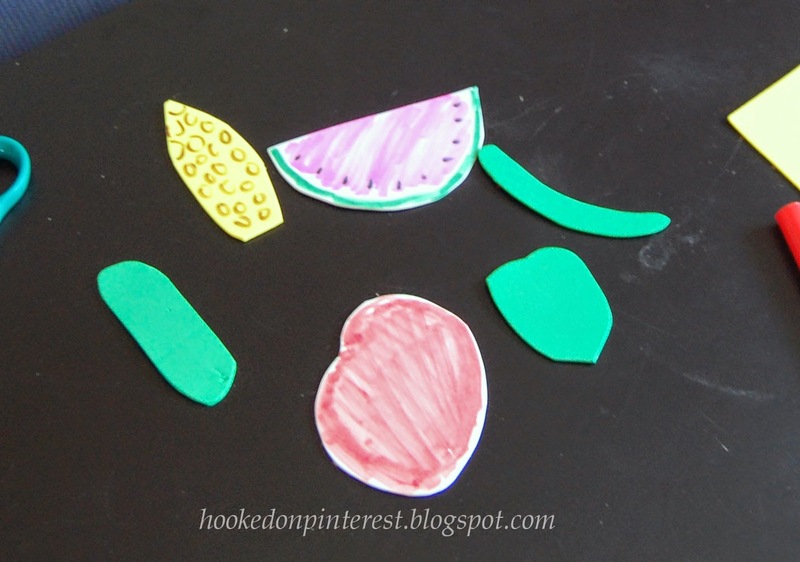 Here is a quick craft that I found in Family Fun magazine. 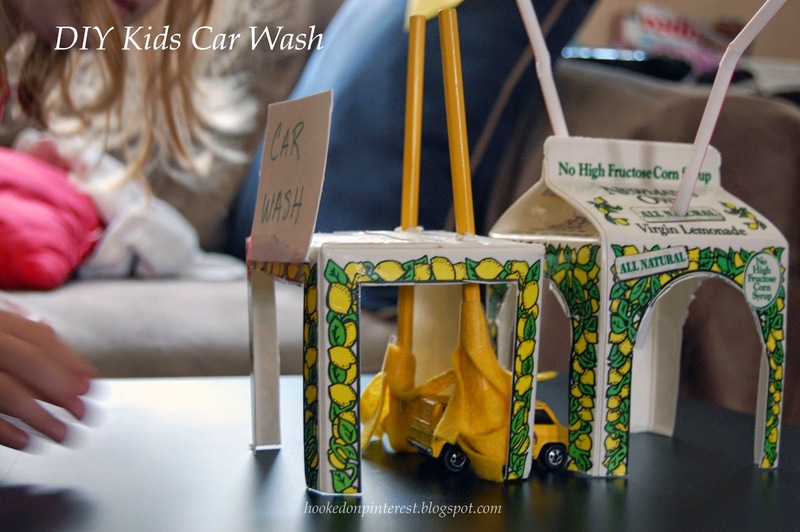 It turns a Newman's Own Lemonade carton into a car wash for Matchbox cars. 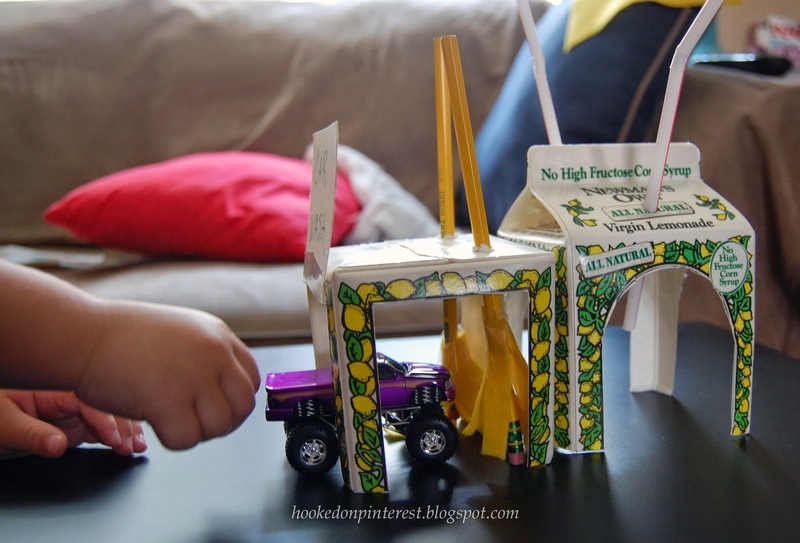 This took me about 1/2 hour to put together and cost me nothing because we already buy lemonade.